Cream butter and sugar. Add eggs one at a time, beating after each. Add lemon zest. Add dry ingredients to butter alternately with milk. Pour into 1 large or two small baking pans. Bake at 350F for 45 minutes. (Surprisingly, the two small pans required as much time as the one large one.) Wait 5-10 minutes and remove the loaves from the pans. 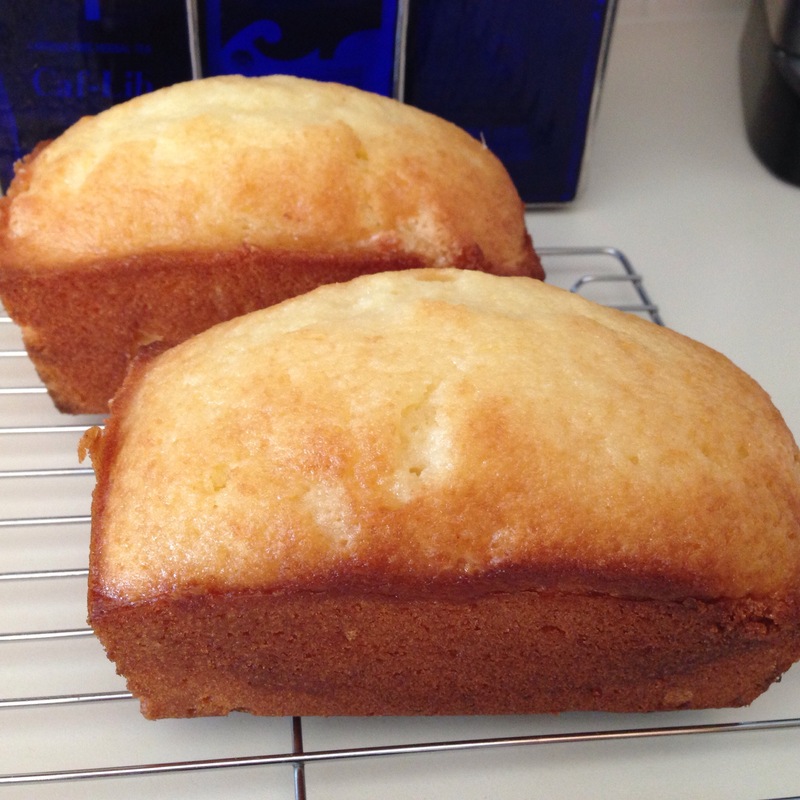 While still hot, brush the top and sides of the loaf with juice from 1 lemon mixed with 1/4 cup sugar. You and your gorgeous loaves again! This one is going right on top of my priority list. I love lemon! And with such simple ingredients, you basically have to make this!